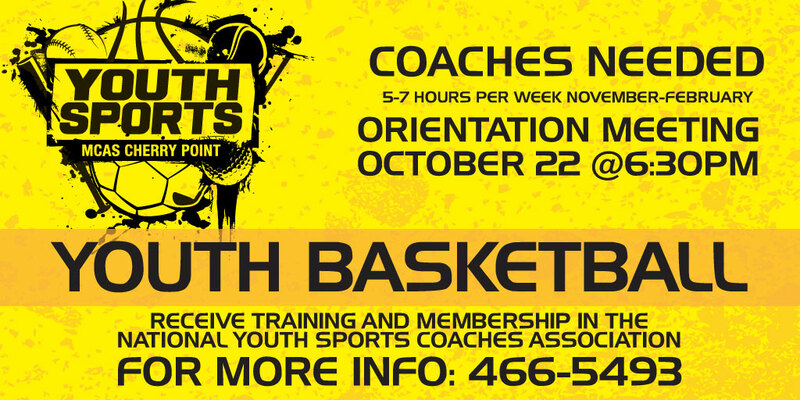 Youth Sports Basketball coaches NEEDED! If you are interested in volunteering to be a Youth Sports Basketball on base, please contact MCCS Youth Sports at 252-466-5493. 5-7 Hours per week Nov- Feb, orientation meeting 22 October at 6:30pm.